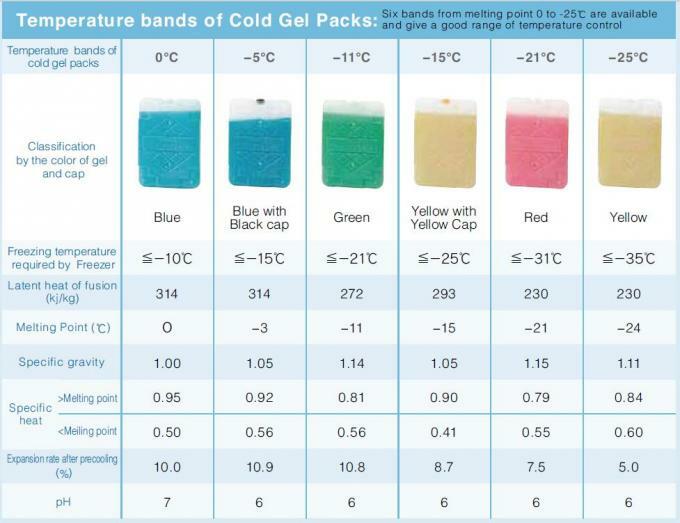 Cold Gel Packs are ideal for delivery of frozen food. Ideal for cold delivery of frozen food, when combined with dry ice, deep-frozen delivery of ice cream is possible. 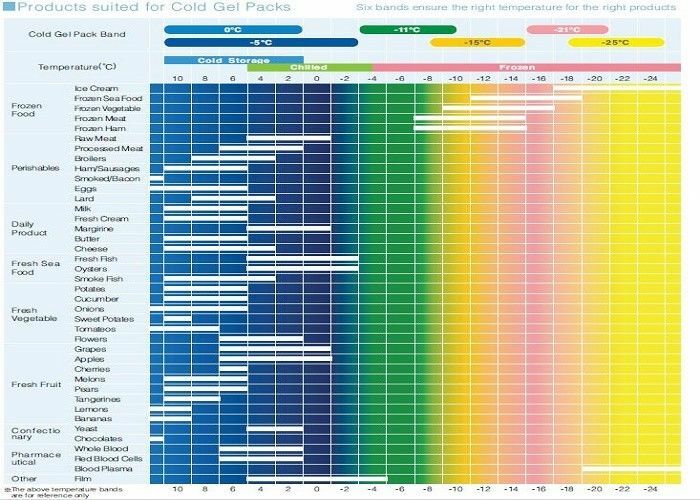 temperature bands are quickly identified and easily checked during order picking or sorting after collection.